What Does a Treadmill Do for Your Body? Weight loss is just one benefit of running on a treadmill. The Centers for Disease Control and Prevention advises adults to obtain at least 75 minutes per week of vigorous exercise, such as running, or 150 minutes per week of moderate-intensity exercise, such as brisk walking, for optimum health benefits. A treadmill is an exercise machine that can help you incorporate these recommendations into your life. It allows you to exercise indoors during inclement weather, while multitasking by catching up on your reading or favorite television shows. Customize your workouts by adjusting the treadmill's speed and incline, which will keep your exercise sessions challenging and fun. Reap the many physical benefits a treadmill has to offer. If you're trying to lose weight, running on a treadmill can effectively burn calories and prevent you from putting on more weight. The number of calories you burn while running is determined by body weight, speed and duration. According to MayoClinic.com, a 160-pound individual will burn approximately 606 calories per hour while running at 5 mph, and burn 861 calories per hour while running at 8 mph. The heavier the weight, the greater number of calories burned. Running burns more calories per hour than other forms of aerobic exercise, such as swimming laps and bicycling. 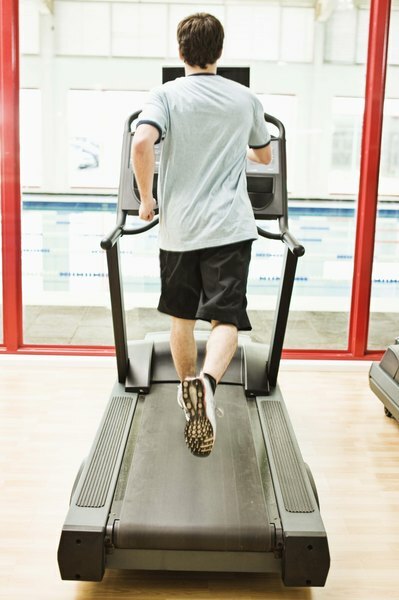 Regular use of a treadmill can improve your heart health and lower cholesterol. According to the University of Maryland Medical Center, individuals who are physically active have a 45 percent lower risk of developing heart disease than those who are sedentary. Exercise, such as running on a treadmill, helps your heart become stronger, enabling it to pump blood with less strain and greater efficiency. A sedentary individual's heart beats 36,000 more times per day than that of a runner, reports Vanderbilt University. Also, running on a treadmill for only 12 miles per week can lower blood cholesterol. Individuals who suffer from depression and begin a regular exercise program showed an improvement in their moods at the same rate as taking antidepressants, according to Michael Otto, professor of psychology at Boston University. Regular exercise, such as brisk walking or jogging on a treadmill, can improve symptoms of depression in adults, confirms University of Maryland Medical Center. For best results, it's recommended that you engage in 75 minutes of vigorous running on a treadmill per week, or 150 minutes of brisk walking on a treadmill per week combined with two days of strength training. Running on a treadmill helps to maintain the elasticity of arteries, which keeps blood pressure low. According to the "Journal of Strength and Conditioning Research," participants in a study who ran for 20 minutes on a treadmill each day experienced lower blood pressure for seven hours immediately following each exercise session. The study concluded that a regular routine of moderate aerobic exercise, such as treadmill running, can be an effective treatment for high blood pressure. See a health care professional before using a treadmill if you've been sedentary or are over 50 years old, or have diabetes, heart disease, or any physical disabilities or prior injuries. 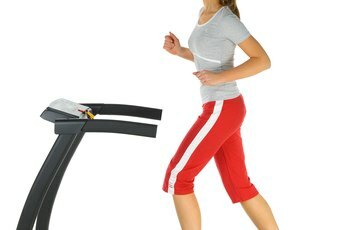 Stop using the treadmill and consult your health care professional if you experience any pain or discomfort while running. NYU Langone Medical Center: Can Depression Be Treated Without Medication? WebMD: Should I Talk to My Doctor Before Beginning an Exercise Program? 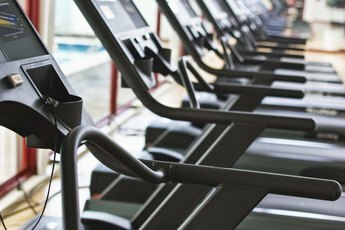 Are Treadmills a Good Form of Exercise? Do Treadmills Get You Fit? What Gives a Better Workout: a Treadmill or a Stair Climber? Does Treadmill Elevation Put Stress on the Lower Back? Does Sitting in a Sauna Affect Your Legs for Running a Race? How Does a Treadmill Affect Your Spine?